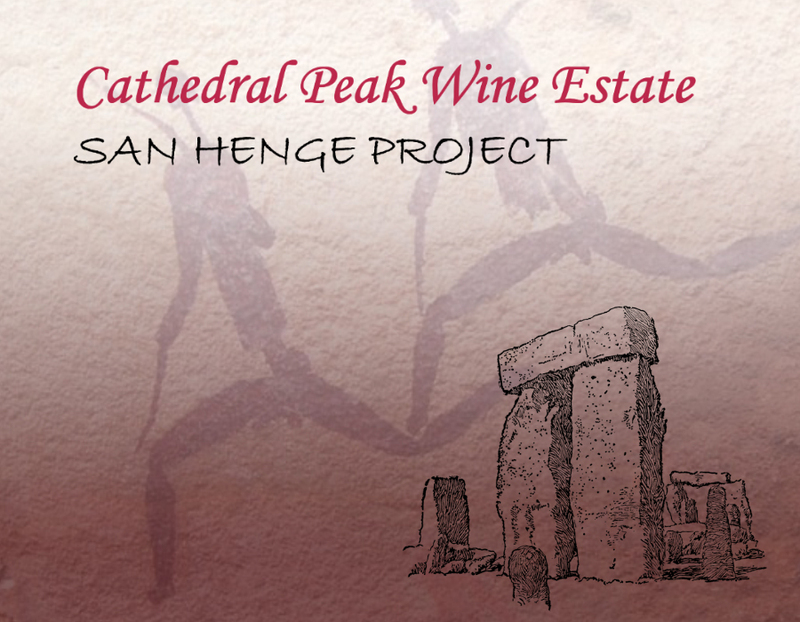 Cathedral Peak Wine Estate hereby is calling for participation and expression of interest to anybody out there willing to share in our new one of a kind project. Over the next 9 months we will build a San Henge of similar size and proportion as Stone Henge at the Wine Estate in a fresh, new and contemporary way. Why? As Cathedral Peak Wine Estate we are the first Wine Estate in the local region and we are forging a new industry in the region. Our wines promote a great sense of place. In this regard we are as acutely aware of the heritage of our location – and in this we refer to the spectacular World Heritage Site – Unesco 985. More so we are extremely aware that what we are doing now, will form part of the heritage of tomorrow. During the next 9 months we will be building an amazing feature using methods of old and ideas of new in unique design and construction around a known theme. Emphasis will be on zero footprint awareness techniques and features and to couple this with legacy of the SAN. In the end the structures must build awareness of the history – its place with Unesco and of the spectacular beauty and mountain diversity. to discuss how you could participate. This entry was posted in Drakensberg, Heritage, Inspiration, News, San Henge Project and tagged San Henge Project. Bookmark the permalink.